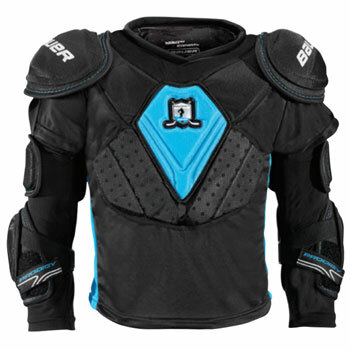 This unique 2-in-1 system allows kids to slip right into this last layer of protection. Additional padding was applied where it&apos;s needed most - in the elbows and tailbone to ensure a more comfortable experience on ice. Several features such as the youth specific shoulder cap all help to provide an optimal fit. WEIGHT of a size Bambini M shoulderpad.